Click here to read Natural Weight Loss Products can be Hazardous to your Health by Barbara Ficarra, RN, BSN, MPA. 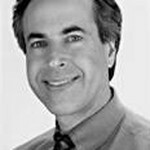 Click here to read Arm Yourself Against the Flu by Rob Danoff, DO, MS.
Click here to read Buyer Beware: Natural Energy Supplements Can Pose Risks by Dr. Rob for MSN Health & Fitness Expert (external site). WHAT EVER YOU CAN DO I WILL BE GRATEFULL.